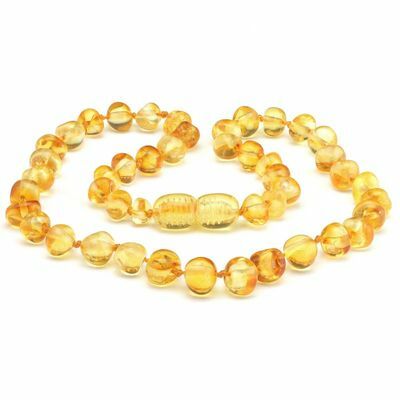 Amber is a traditional baby teething remedy. 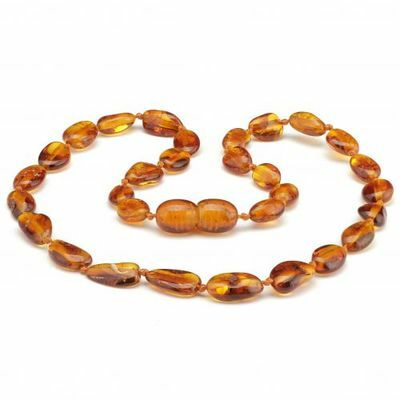 A natural analgesic, amber has been used for centuries in Europe. 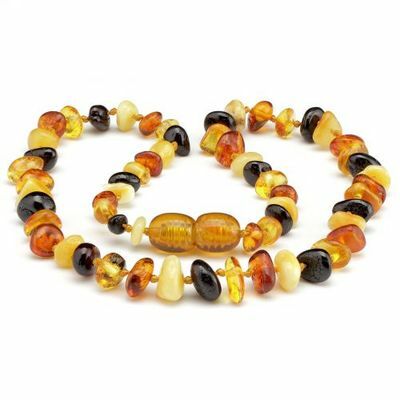 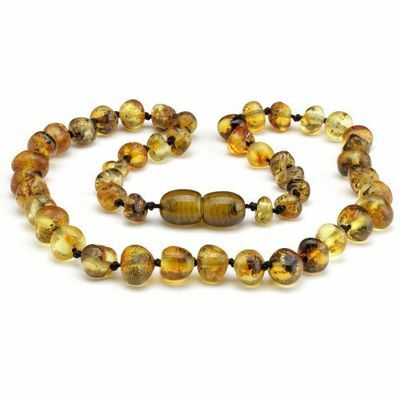 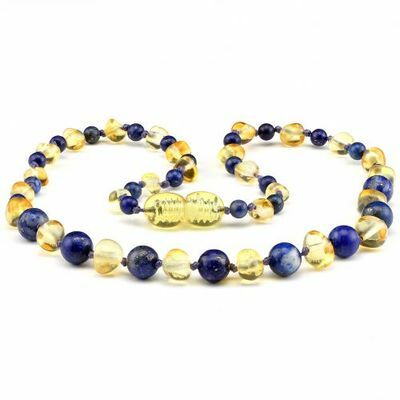 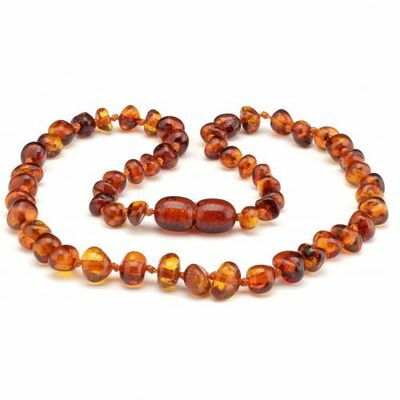 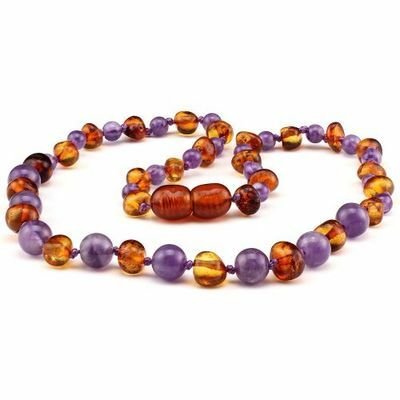 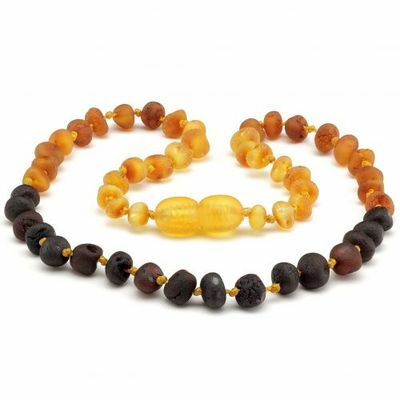 Wearing Baltic amber close to the skin will help calm a baby without resorting to drugs. 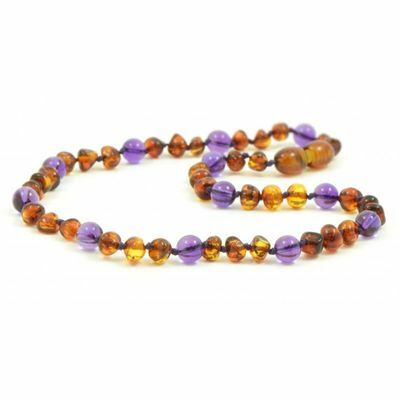 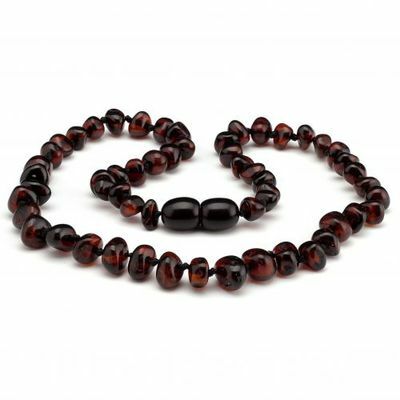 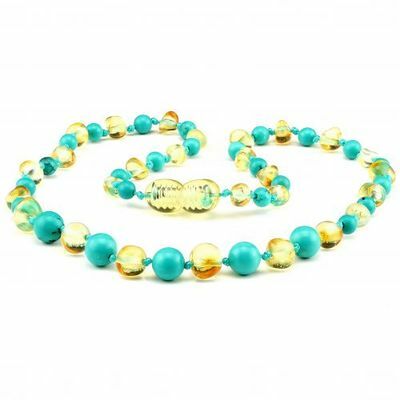 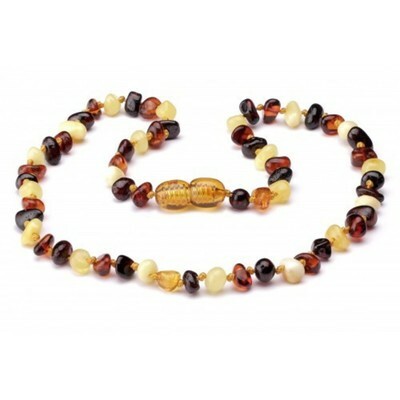 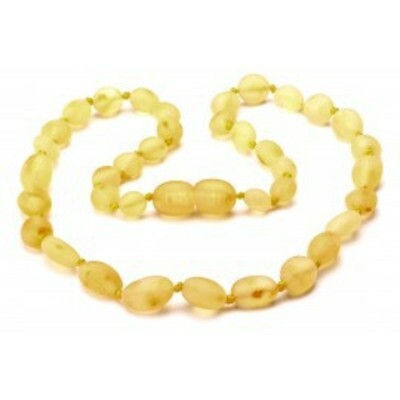 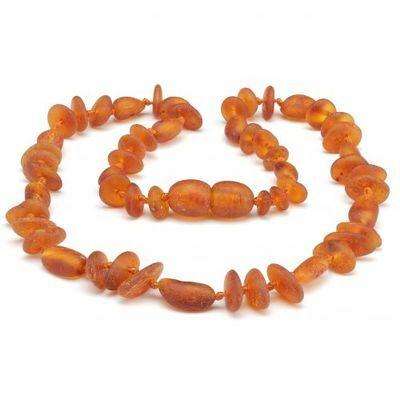 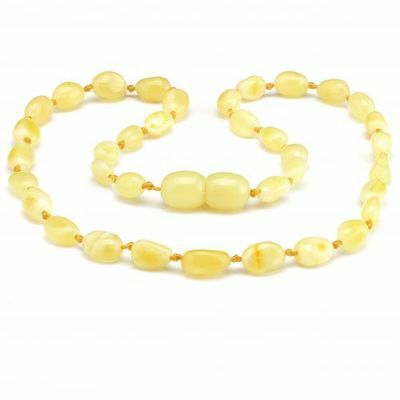 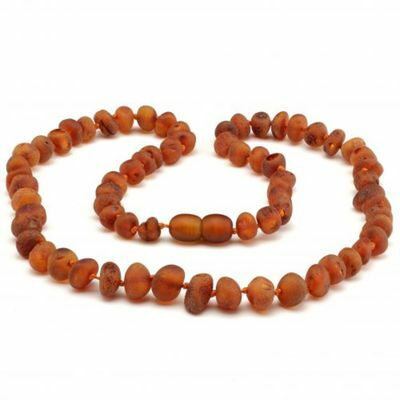 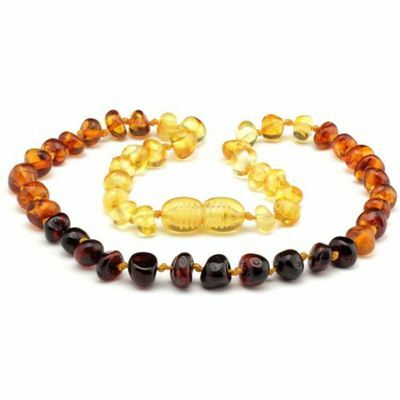 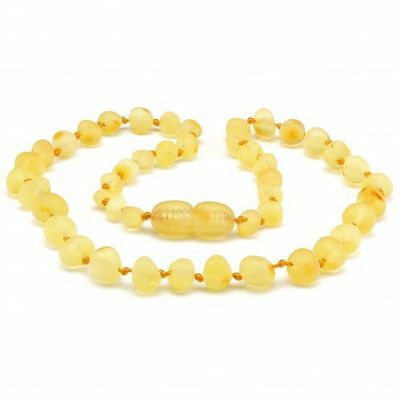 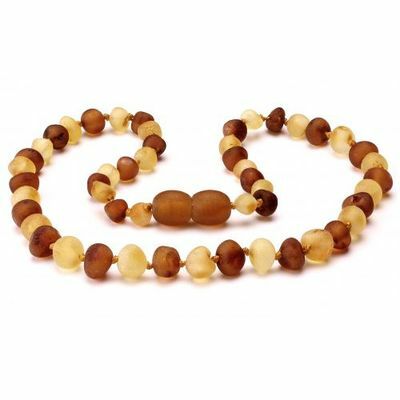 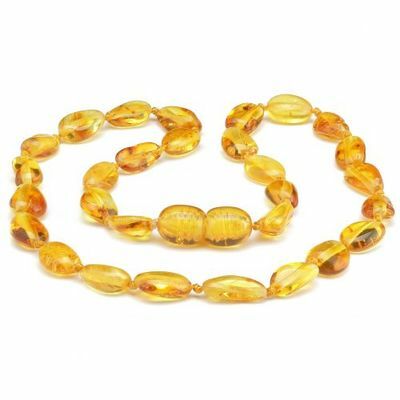 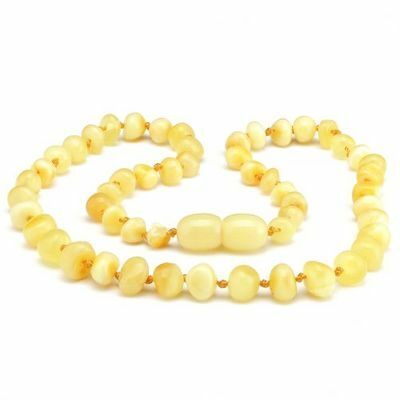 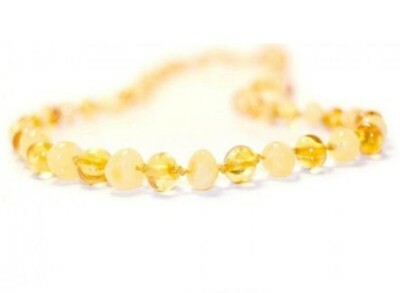 Natural anti-inflamitory and pain relieving properties of Baltic amber are perfect to soothe teething babies. 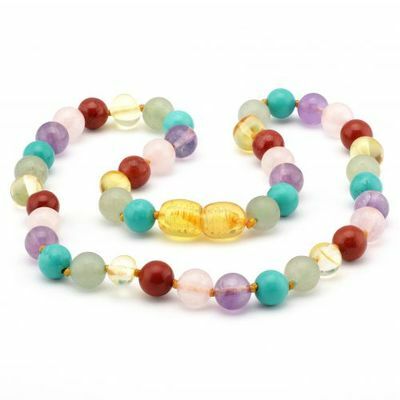 These are not meant to be chewed on by the child. 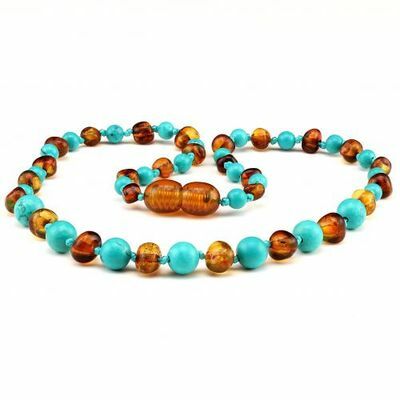 Each necklace is uniquely beautiful. 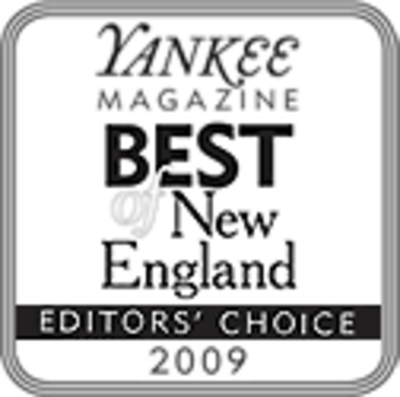 Please note no two are alike. 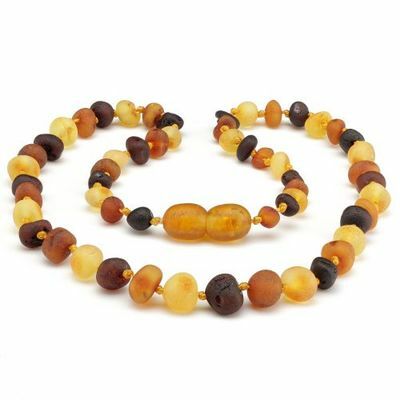 Some variation will occur. 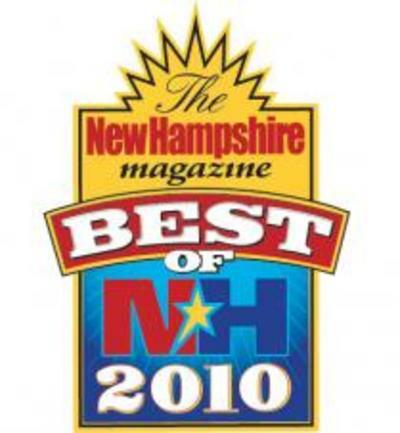 If you have any questions please use our Contact Us page or give us a call. 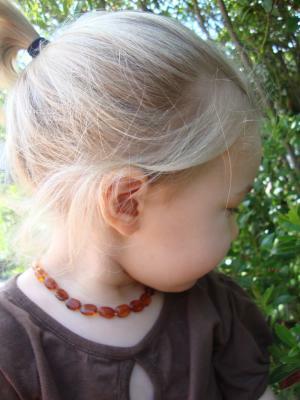 Shown above is a Cognac Amber Necklace on a 2 year old.